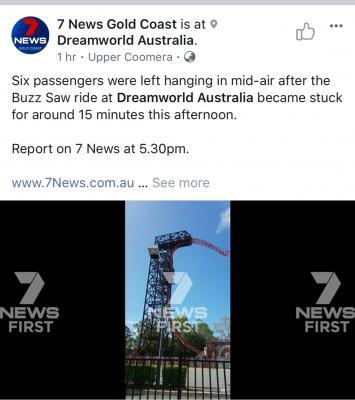 Once again Chanel 7 and 9 are blasting about Dreamworld’s safety systems cough cough “major breakdown”, “passengers terrefied for there lives”. Think it’s time for the news Chanel’s to get a life. "If it Nose-bleeds, it Leads?" Sometimes, that's NOT good news! In other breaking news, when I put my foot on the break my car stops. Honestly do the media camp out at the parks? 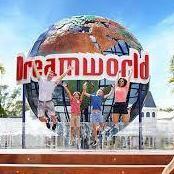 I know some people who were at the park today and didn't even know about it. Given 9News were given video of the stoppage "exclusively", it seems Dreamworld visitors are sending the news to them. Pretty much every single report made by the news about these stoppages occur because someone from the public films it and sends it in. Because everyone has a camera on them now, people can easily capture this tiff because they think it’s bad and shouldn’t happen. And that’s why it’s the news so much more. Is there a monetary reward/incentive that is given out by media outlets to the people who send in this stuff? Otherwise, why do people bother? no reward is given by the media outlets. it's just the done thing now.